Sometimes it's nice that when you want to carry out a task yourself, for example a household chore, to get step-by-step instructions on your phone. With the RoutineFactory app on your phone together with the assistants and an NFC sticker this is super easy! Turn the phone on and move it over the NFC sticker, you will immediately get a digital assistant with clear instructions for a task or action at that physical location. This way you have quick access to the right instructions, very nice if you want to use it regularly. 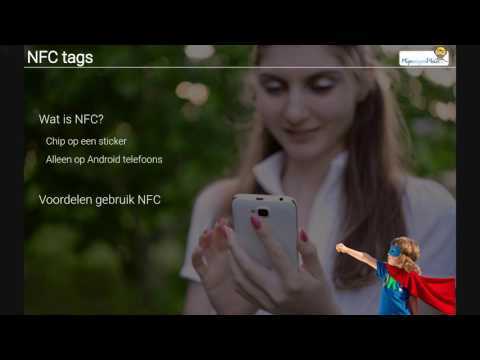 What is an NFC sticker? An NFC sticker is a small plastic or paper label with a special chip. Newer phones can, when you move them close to the sticker, recognize the NFC chip and then show something on the screen. NFC stickers can easily be ordered online for a small amount, for example on search for ntag203. The stickers can be used again and again by re-programming them. Are all phones and tablets suitable for NFC? NFC is a fairly new technique and also requires a relatively modern telephone. Is your phone suitable? Check in the settings menu whether you can enable NFC or look at the specifications of your phone. We can also assist you with this, please contact [contact us] (mailto: info@mijneigenplan.nl). To start using an NFC sticker you need to link it to a specific digital assistant. You can do this from settings menu in the app; directly on the phone itself. Select "Link NFC to assistant", select an assistant and hold the phone over a NFC tag to program it.